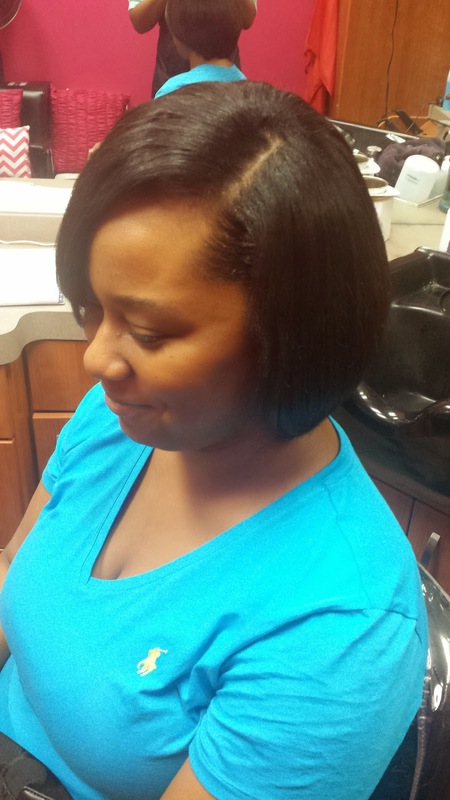 This client wanted a sew-in but wanted it to look very natural. 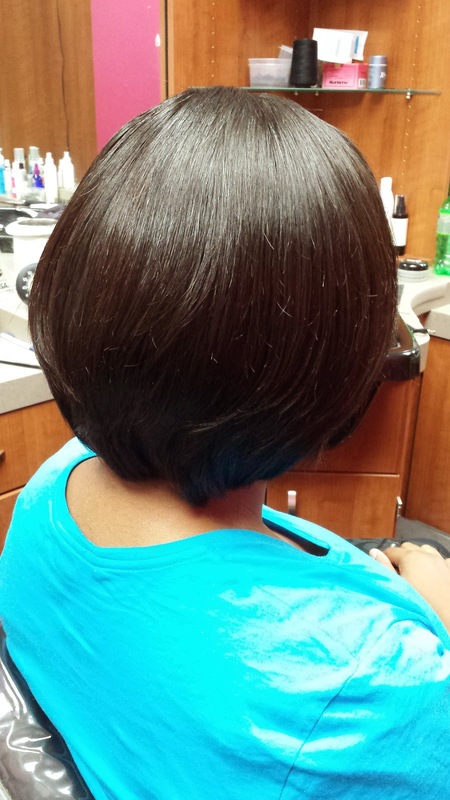 She wanted a simple bob that was easy to take care of and easy to maintain. 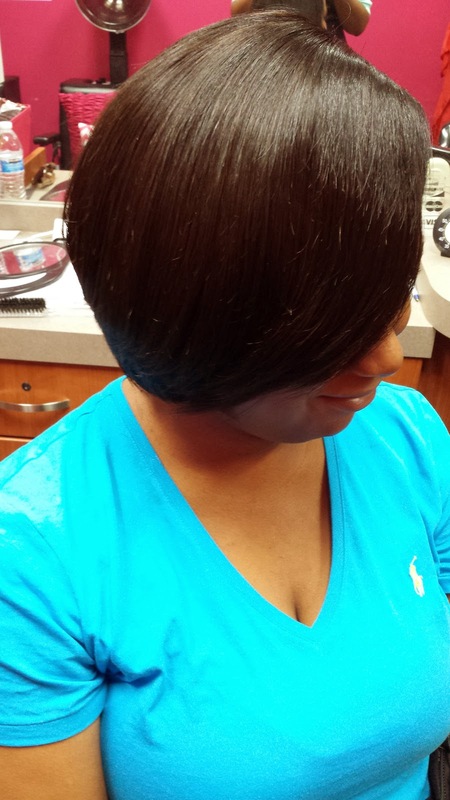 Her natural hair is about neck length in the back and a little shorter on the sides. 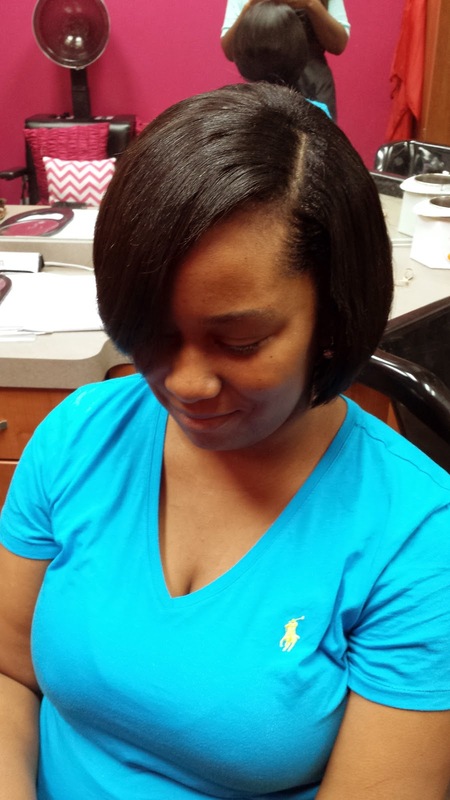 Her sew in will allow her natural hair to rest and grow while it is braided up under the sew in. 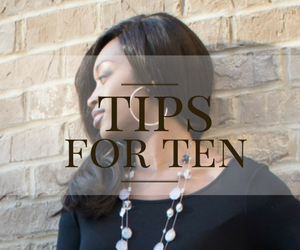 My number one priority before installing the sew in is to take care of the natural hair first. I shampooed her hair first with Silk Hydration by L. Jones clarifying shampoo, followed up with the moisture shampoo, then did the intense moisture treatment. After that I applied a generous amount of leave-in conditioner before I combed it down and placed her under the dryer. Once she was dry I then braided the hair up then sewed the hair onto the braid using L. Jones Hair Collection hair. She got two bundles of Brazilian 8 inch straight. Once it was done I cut it into its shape and very lightly layered it. 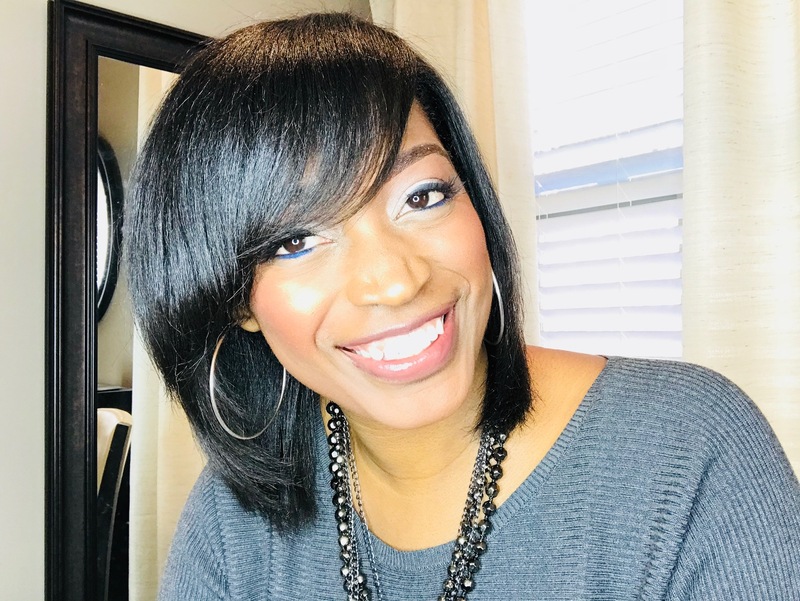 The only part of her natural hair that was left out was only the part that was around her part and her edges on the sides. All of the back was braided because she will not be pulling it into a ponytail so there was no need to make it versatile. To maintain her hair all she has to do is wrap it at night and put her silk scarf on. And by the way, she did not get a fresh relaxer either. 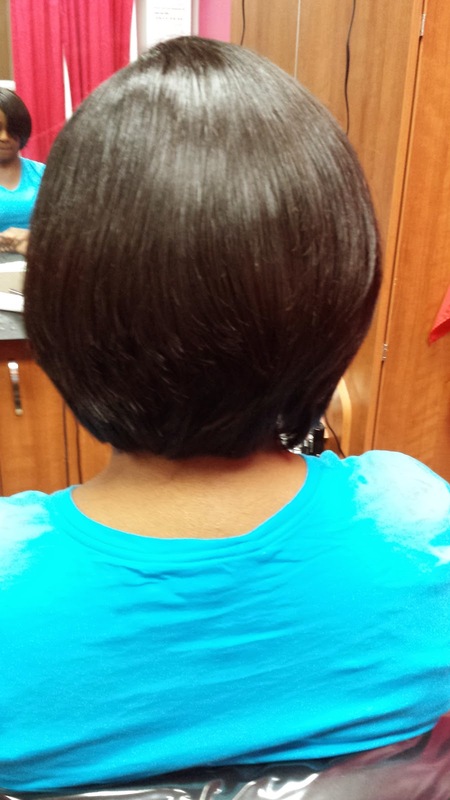 As a matter of fact, on this day she was about 12 weeks post relaxer. Since so little of her hair is left out it is very easy to blend. 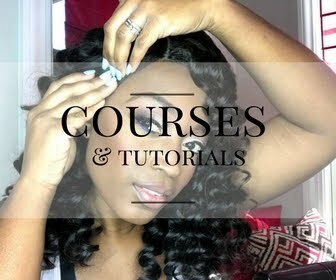 Her sew-in should be taken down after three months to shampoo and conditioner her real hair again. 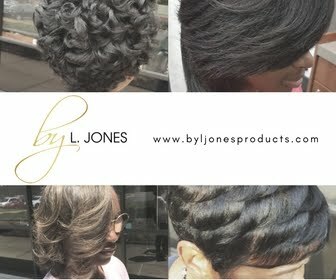 The hair from L. Jones Hair Collection is such good quality that it can be used for up to two years so once she takes it down, the hair can be reused.